Learn more about baby milestones – how babies develop and move from 0 to 12 months. 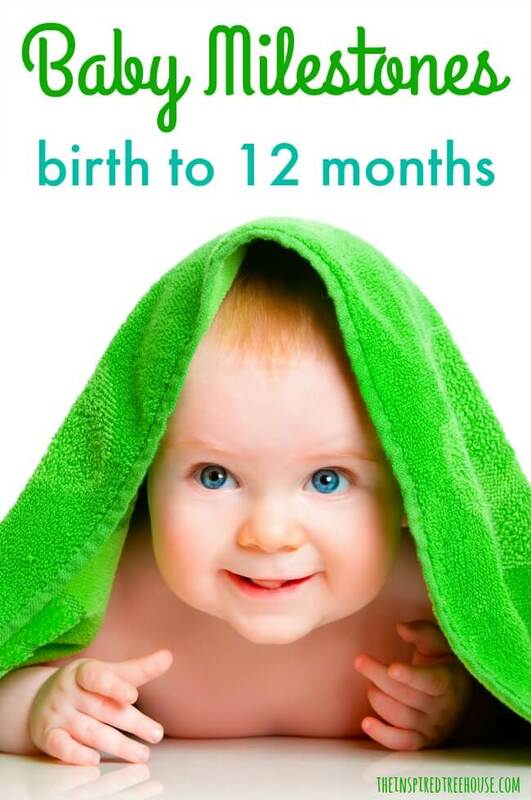 So many exciting milestones take place during a baby’s first year of life. Often, parents wonder whether their baby’s development is on track or they worry when their child doesn’t achieve a milestone at exactly the “right” time. While it’s important to remember that development doesn’t always unfold exactly the way it’s described in a textbook, it is helpful for parents and caregivers to have a general idea of when skills and baby milestones should be expected. Here are some of the ways babies begin to move and develop in the first year of life. While it may look like newborn babies can’t do much on their own, rest assured – those little bodies and brains are hard at work. All of the tiny movement experiences babies get at this age are so important and lay the foundation for more complex, later developing motor skills. At this age, babies don’t have a lot of control of their heads against gravity, but may be able to turn their heads from side to side when positioned on their backs. This small movement helps them gain the length and mobility they need in the muscles of the neck that will later be used for head control. Between 2 and 3 months, they may be able to hold their heads up for several seconds (likely with some bobbing). During this age range, babies will start lifting their heads and even pushing up a bit on their arms during tummy time. They can move their arms and legs off of the floor when they are positioned on their backs. At this age babies bring their hands to their mouth and can grasp objects, but without purposeful control over release. By 3 to 6 months, babies are gaining more purposeful control of their bodies. They are able to hold their heads up easily between 4 and 6 months and they begin to learn how to roll. Rolling requires lots of core strength and many babies may roll from their tummies to their backs as early as 2 months (usually by 5 months). Next, they’ll start rocking their legs back and forth or reaching across their bodies until they accomplish rolling from their backs to their tummies. This usually happens between 5-7 months after they have gained additional head, arm, and trunk control. Once they are able to roll easily, babies will begin to learn how to sit up without support – usually between 4 and 7 months. At this stage, they are also able to reach for and hold toys and other objects for several seconds at a time. They may begin to hold a bottle with little or no assistance from mom or dad. By 6 to 7 months, babies demonstrate strong head control in all positions. And, after they become strong, independent sitters, they’re ready for the next important skill – learning how to get into and out of sitting independently! In this age range, babies may pivot to the side in sitting to grab their favorite toy and eventually move onto all fours and steadily progress to crawling, usually between 6 and 9 months. Anywhere between 8 and 12 months, babies will begin to pull up to stand while holding on to furniture and will start to experiment with transitioning between a seated position and pulling up to stand – and they will also learn to control their bodies to lower from supported standing to sitting. Babies also start to cruise along the furniture while holding on at this stage and may even begin to learn to walk. When it comes to fine motor skills, babies in the 6 to 12 month range can transfer objects from one hand to the other and they love to bang two objects together. At this age, babies can also feed themselves finger foods and snacks. Before babies are mobile and before they’re able to interact and communicate clearly, sometimes it can be hard to come up with new play ideas to keep little ones entertained (not to mention the grownups who are taking care of them!). These fun activities for babies will keep little ones entertained while also boosting important developmental skills. Test Your Baby Development Knowledge! Think you’re a baby development guru? Or maybe you just want to dive in and learn more about what skills to expect from babies at what age. 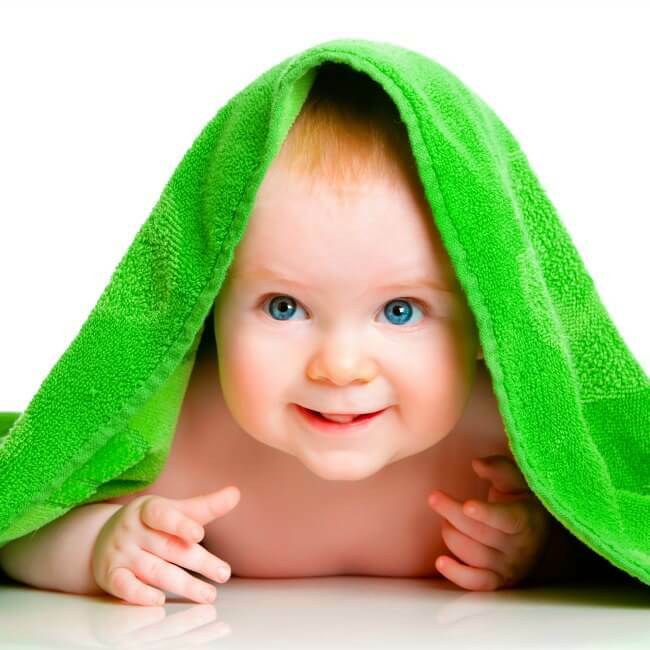 Our baby development quiz is the perfect place to start! Learn more about tummy time and how to make this important developmental experience more fun and comfortable for your little one! At What Age Do Babies Roll Over? At what age do babies roll over? Learn more about this important milestone. When Do Babies Learn to Sit Up? Sitting up is the next skill babies will learn to master as they become stronger and learn to balance. Learning to crawl means that babies are on the move! Explore more information about how this important skill develops. Finally, babies get up on their feet and take off walking – and then running! This takes a lot of strength, coordination, and balance. Learn more here! Interested in finding out which skills will develop next? Learn more about toddler development here! Whether you’re a new parent, a pediatric therapist, or an early education teacher or childcare provider, we have lots of great information to help you gain a solid foundation on developmental milestones. Hi, my son is 11 Months and avoids putting weight on his feet. If he does, they’re rarely flat. He also has not begun to pull himself up yet. Should we be concerned?